There are certain traits that all bird hunting dogs should have. 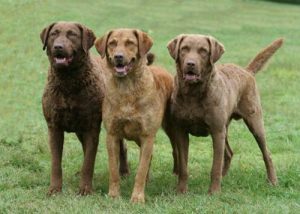 When you are out trying to find the best bird hunting dog for you, you may come across two different dogs that you like. In this type of situation, you’re going to need to compare hunting dogs before making a choice. There are several points of comparison that you can use when trying to decide between dogs. Make sure that the dog you choose is great at all the points. One of the most important comparison points is often overlooked. Beyond things like obedience and demeanor, you should make sure that they were raised well by their owner or breeder. Look into the parents of the dogs when you compare them. The way the parents were often reflects on how the dog will be. If they were hunting dogs, this definitely gives the dog points. Another thing to watch out for when you compare bird hunting dogs is to make sure they have all the necessary documentation. The owner or breeder should provide you with a sheet from a veterinarian that states all the shots and immunizations the dog has received. It should also have all its certificates as well. Don’t pick a dog that doesn’t have this documentation. Beyond the necessary things that you learn from a breeder, there are also things you need to check out for yourself when you compare them. Test the obedience of the dog by having it do tricks. You can also test the obedience by making it stay when told. This is often a very hard thing for untrained dogs to do, especially if there is food involved. You should also check how the dog reacts to children. If you have small kids at home, you’ll need the dog to be able to handle their presence. If it can’t then don’t bother getting that dog. The temperament of a bird hunting dog is very important. It should have patience. It should also be very friendly. Above all, it should be obedient to its master. Make sure you do compare dogs to be certain that they have these traits. You’ll need all these traits in a dog so that they can be the greatest help to you when you are out hunting. If you compare bird hunting dogs and both are good, you may have trouble deciding. At this point you should spend time with each dog. The one you have more affinity for is the one you should choose. If you do this, then you will surely have the right bird hunting dog for you.